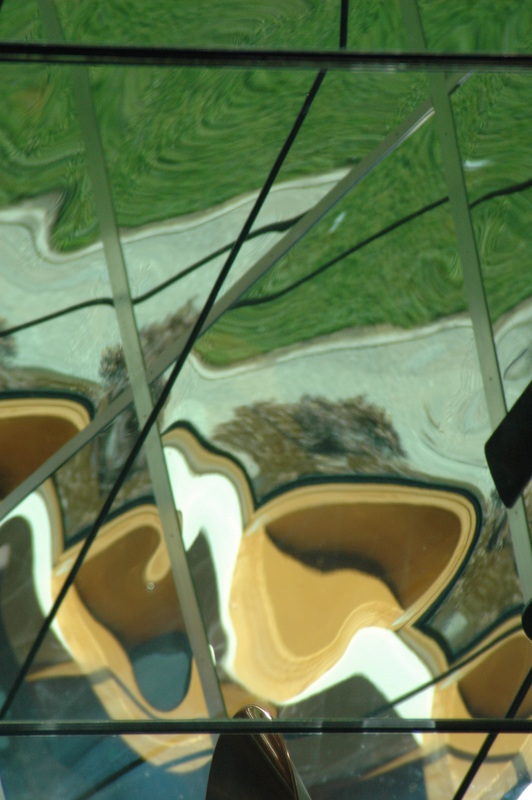 The Hegel Society of America has issued a call for conference papers that ‘investigate or problematize in new ways and in new connections the intersection of religion and politics in Hegel’s philosophy’. The deadline’s not until the end of January, so still some time to get something in. More info here, or contact Prof. Angelica Nuzzo. The more I read Ricoeur, the more I like him. 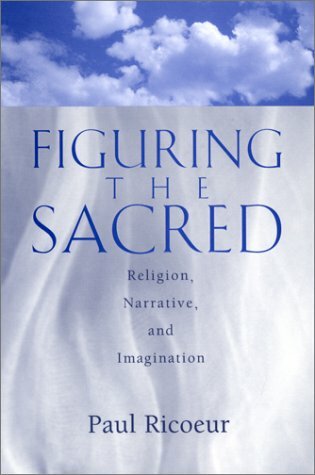 I’m currently reading his collection of essays in Figuring the Sacred. In one particularly-powerful essay, he gives us two more reasons why we should not neglect reading Hegel and Barth: ‘With Hegel we try to think more, with Barth to think differently’. – Paul Ricoeur, ‘Evil: a Challenge to Philosophy and Theology’, in Figuring the Sacred: Religion, Narrative, and Imagination (ed. Mark I. Wallace; Minneapolis: Fortress, 1995), 256. 26 November, 2007 26 November, 2007 by Jason GoroncyLeave a Comment on Kierkegaard’s opposite? I am reminded here of the insights of one Kierkegaard scholar who noted that the malady of our age is mediocrity. It is easy to think that with all the busyness of modern life people are actually living engaged lives. In actual fact, however, very few live with passion, or on the basis of conscience. Everything is calculated in a way that whatever we do is reduced to the reasonable or unreasonable, or worse yet, to the law of least resistance. Suffering is to be avoided at all costs. In the name of unconditional freedom options remain open, but in the process, people drift along. In Kierkegaard’s words, ‘There are many people who arrive at conclusions in life much the way schoolboys do; they cheat their teachers by copying the answer book without having worked the problem themselves’. In Fear and Trembling, Kierkegaard challenges Hegel’s undermining of the individual and his positing of the common ethic as the highest reality. In its place, Kierkegaard posits individual faith as the highest reality, a reality which is at core personal, paradoxical and beyond empirical or philosophical challenge. It is the individual who alone stands in ‘absolute relation to the absolute’. Kierkegaard then proceeds to discuss the sin of despairing of the forgiveness of sins itself. He suggests two reasons for such despair: weakness or defiance. Weakness, or what he calls ‘a passive suffering of the self’, describes when one ‘does not dare to believe’, while defiance is when one ‘will not believe’. Both reasons are at core a resistance to not to will to be oneself, that is, a sinner, and so dispense with, or deny, the offer of grace and reconciliation that comes in the forgiveness of sins. Kierkegaard writes, ‘When the sinner despairs of the forgiveness of sins it is almost as if he were directly picking a quarrel with God, it sounds in fact like a rejoinder when he says, “No, there is not any forgiveness of sins, it is an impossibility”; this looks like a hand-to-hand scuffle. But yet a man must remove himself to a qualitative distance from God in order to be able to say this and in order that it may be heard, and in order to fight cominus he must be eminus; so strangely constructed in an acoustic sense is the world of spirit, so strangely are the relationships of distance arranged. A man must be as far as possible removed from God for that “No” to be heard, while yet in a way he wants to pick a quarrel with God’. Kiekegaard’s point is that it is a sin to in one’s own offense turn away toward a direction other than faith. While ‘one might praise the pagan who really managed to despair, not over the world, not over himself in general, but over his sin’, true Christianity (though not Christendom) altered everything, ‘for thou shalt believe in the forgiveness of sins’. Despair of the forgiveness of sins is an offense, Kierkegaard insists, because such despair issues from a wrong view of sin whose opposite is not virtue, but faith. In the midst of this discussion, Kierkegaard offers a punchy critique of pantheistic tendencies within Christian theology too blindly entrenched in Hegel. The fundamental misfortune of Christendom is really Christianity, the fact that the doctrine of the God-Man (the Christian understanding of which, be it noted, is secured by the paradox and the possibility of offense) is taken in vain, the qualitative distinction between God and man is pantheistically abolished – first speculatively with an air of superiority, then vulgarly in the streets and alleys. Never anywhere has any doctrine on earth brought God and man so near together as has Christianity; neither could anyone else do it, only God Himself can, every human invention remains after all a dream, an uncertain imagination. Neither has any doctrine ever so carefully defended itself against the most shocking of all blasphemies, that after God had taken this step it then should be taken in vain, as though God and man coalesced in one and the same thing – never has any doctrine ever defended itself against this as Christianity has, which defends itself by the help of the offense. Woe unto the slack orators, woe unto the loose thinkers, and woe, woe unto all the adherents who have learnt from them and extolled them!’ – Søren Kierkegaard, Fear and Trembling and The Sickness Unto Death (trans. Walter Lowrie; Princeton: Princeton University Press, 1954), 248. 7 November, 2007 10 November, 2007 by Jason GoroncyLeave a Comment on Bring back the verve! 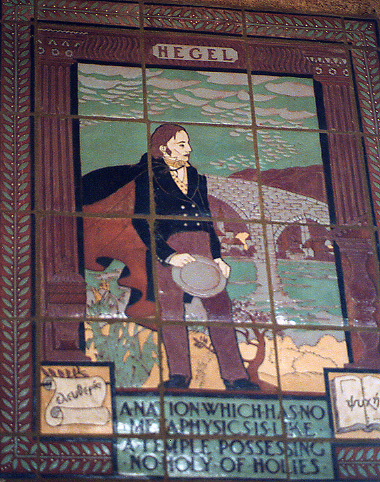 ‘If I were to say that the so-called philosophy of this fellow Hegel is a colossal piece of mystification which will yet provide posterity with an inexhaustible theme for laughter at our times, that it is a pseudo-philosophy paralyzing all mental powers, stifling all real thinking, and, by the most outrageous misuse of language, putting in its place the hollowest, most senseless, thoughtless, and, as is confirmed by its success, most stupefying verbiage, I should be quite right. Further, if I were to say that this summus philosophus … scribbled nonsense quite unlike any mortal before him, so that whoever could read his most eulogized work, the so-called Phenomenology of the Mind, without feeling as if he were in a madhouse, would qualify as an inmate for Bedlam, I should be no less right.’ – Arthur Schopenhauer, On the Basis of Morality, 15-16. ‘If postliberal theology depends on the existence of something called the “Yale School,” then postliberal theology is in trouble. It is in trouble, because he so-called Yale School enjoys little basis in reality, being largely the invention of theological journalism. At best it represents a loose coalition of interests, united more by what it opposes or envisions than by any common theological program’. – George Hunsinger, ‘Postliberal theology’, in The Cambridge Companion to Postmodern Theology (ed. Kevin J. Vanhoozer; Cambridge: Cambridge University Press, 2003), 42. Now I’m just feeling tempted to say that most contemporary theology (and politics for that matter) has lost its verve. Is this because it has no verve-creating Gospel?